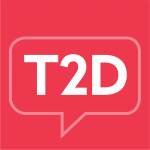 Have a question about type 2 diabetes and aren’t sure where to turn? The Q&A feature helps you get quick answers and suggestions from other community members. You can search through previously posted questions to see if someone has already answered yours, or post a new one. Check out the video below to learn how to make the most of the Q&A feature!